Despite the typical English drizzle, Cambridge was its bright and cheery self. The Schola Cantorum had a wonderful day touring round Cambridge’s historic beauty and singing in the ornate Queen’s College Chapel under the directorship of Mr Ralph Allwood MBE. 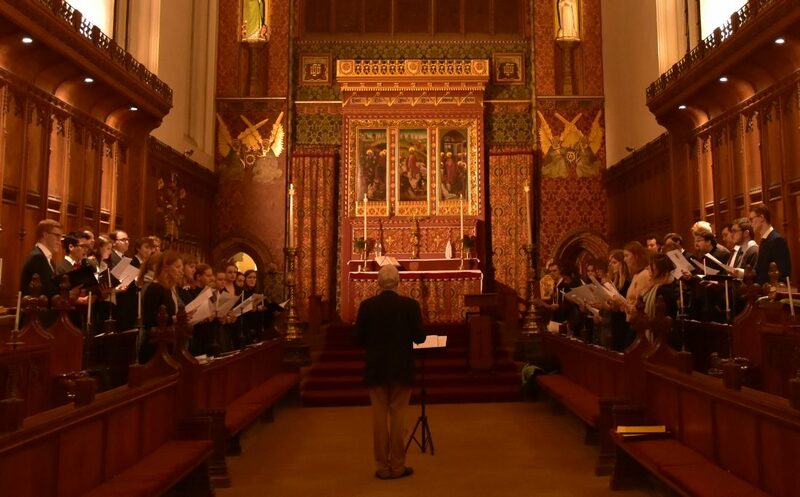 From rehearsing Howells’ ‘Hymn to St. Cecilia’ to working on moments from David Bednall’s evocative Requiem, we were given wonderful insight to vocal technique and delivering the message and story of the music. Later in the afternoon, we rehearsed with the choir of Queens’ College in which the musical menu included Howells’ ‘Collegium Regale’, the split part responses by Bernhard Rose and Bainton’s “And I saw a new heaven”. The service itself was a wonderful experience, the early dusk setting giving the service a sense of timelessness. 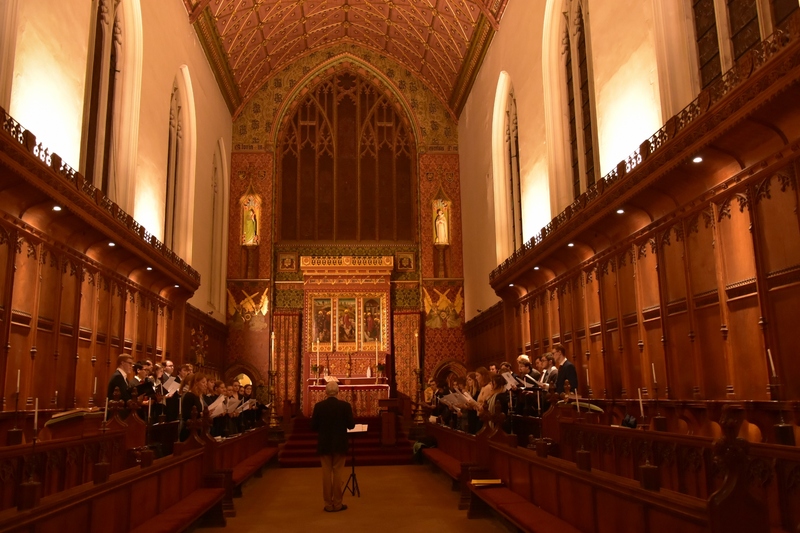 The invaluable experience of singing with the Queen’s college choir for evensong will stay with all of us, as will the spectacular formal hall which we were treated to in the evening, giving us all an insight into the life of an Oxbridge choral scholar.